The age of sexual consent in Northern Ireland should be lowered from 17 to 16, the House of Lords has said. On Monday night, it voted against an amendment to the draft Sexual Offences order. Had the amendment gone though, it would have meant the current age of consent in NI would have remained 17. 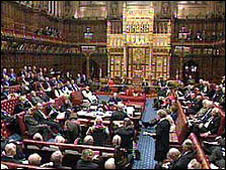 Lord Morrow, who tabled the amendment, did not want Northern Ireland to be brought in line with the rest of the UK where the age of consent is sixteen.